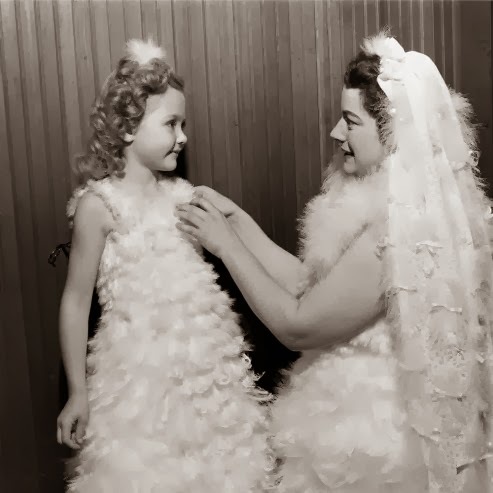 This bride wasn't the only 1950s lady to enjoy turkey feather fashions. 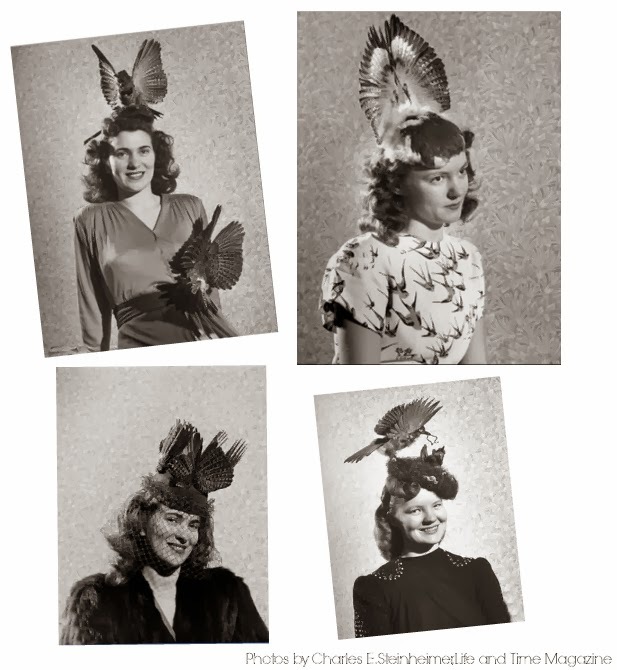 Many hats, headpieces, brooches and dresses were embellished with the plumage of the traditional Thanksgiving bird. Very interesting. I am not sure what I think about this wedding dress and bridesmaids. It is something unique. The first photos with the lady's hats are great. Thanks for sharing. Incredible! There is so much here to be thankful for! Thanks for sharing this! Hunting is big in Texas and bow hunting wild turkey is something the men in my family do occasionally. All my life growing up at my grandparents house they had two sets (fans) of mounted turkey feathers. The thought of wearing those is so very weird!! 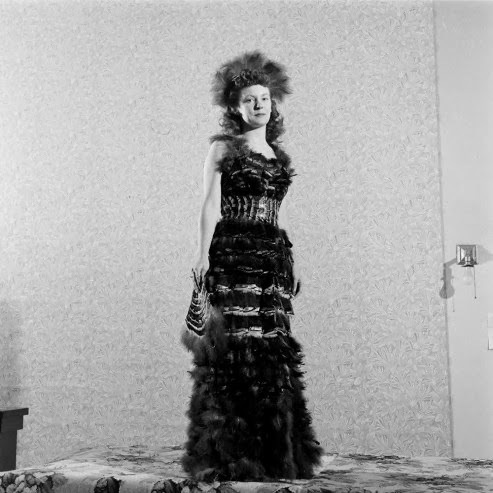 This is one of those vintage fashion stories that just puts a huge smile on your face! 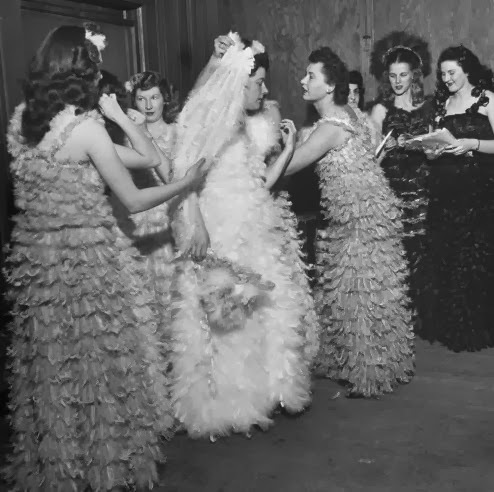 I've seen feather covered garments before, but never a whole wedding dress (let alone wedding party wardrobe). That must have taken a substantially long time to make. The results sure are eye-catchingly amazing! Well that's different! It wouldn't be my choice for a wedding dress but it does make for some interesting photos.